In summer, I generally use very little foundation, I prefer a BB Cream or a Tinted moisturiser and of course I can't be without highlighter in summer. 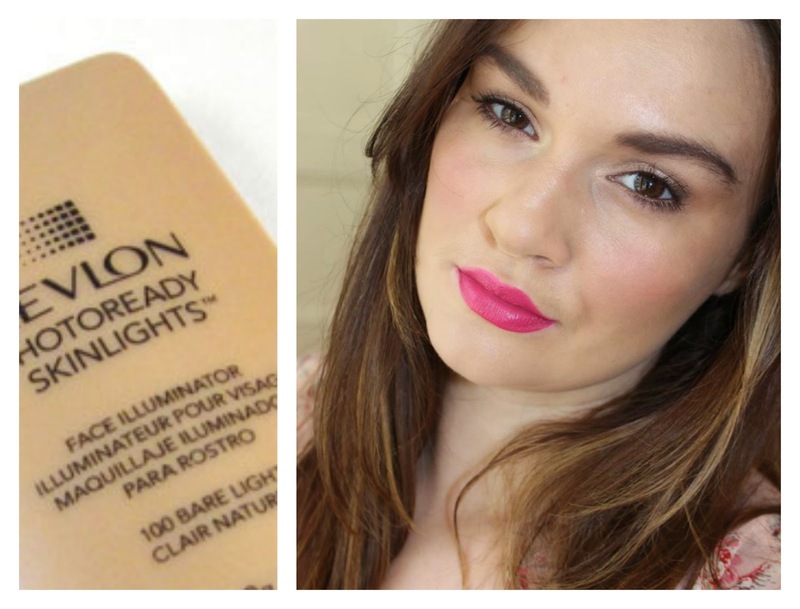 My favourite highlighter at the moment must be Revlon Photoready Skinlights - as I use it almost everyday. 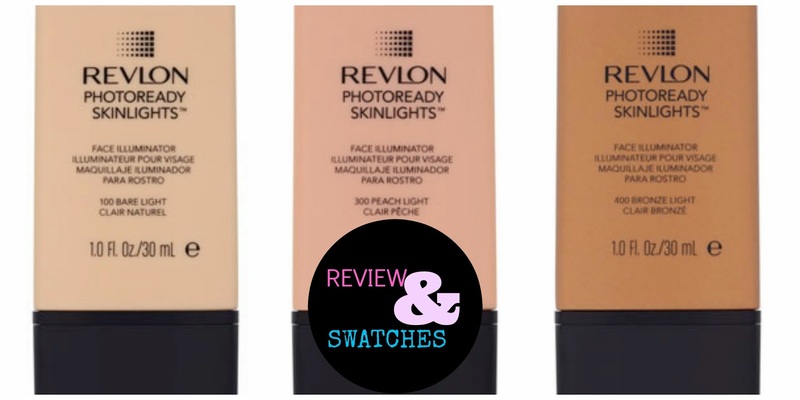 In my opinion the Revlon Photoready Skinlights Highlighters are the perfect dupes for MAC Lustre drops. if you only use it as a highlighter on the high-points of your face, than this could easily last you a year or more. The shade Bare light suits my skin tone perfectly and it just looks I have an amazing beautifully glowing skin. As you can see below in the photo I am wearing the 100 Bare Light shade as a primer all over my fave and I have only used a concealer where I needed to conceal the blemishes.